There are many holiday companies within the UK that have ‘pet friendly’ properties which are suitable for people who wish to travel with their dogs. Some of these organisations are listed below. Best Western have over 100 pet friendly hotels in the United Kingdom. We have listed them and details of any pet facilities or dog restrictions here. Classic Cottages are a brand based on their dedication to quality and excellence. With a wide variety of accommodation, you are sure to find the perfect property to suit your holiday needs. Hoseasons have a selection of over 800 dog friendly cottages. Ranging from former game keepers lodges in Wales, to thatched cottages in Suffolk, there is sure to be something to suit your needs. 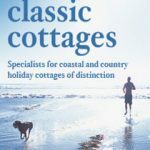 Coast & Country Cottages have many pet friendly properties, lots of which are close to beautiful unspoilt beaches. Most of them boast stunning countryside, sea or estuary views. If you are looking for something a bit different, why not try a boating holiday? Dogs are allowed on a selection of the Hoseasons boats on numerous canals and waterways around the UK. HolidayCottages.co.uk have a great selection of Dog Friendly cottages around the UK. Imagine Ireland have a large selection of pet friendly properties across Ireland that accept one or more dogs.